I'm sitting under a towering green suspension bridge on a late winter's day that's torn between warm and chilly, sunny and cloudy. 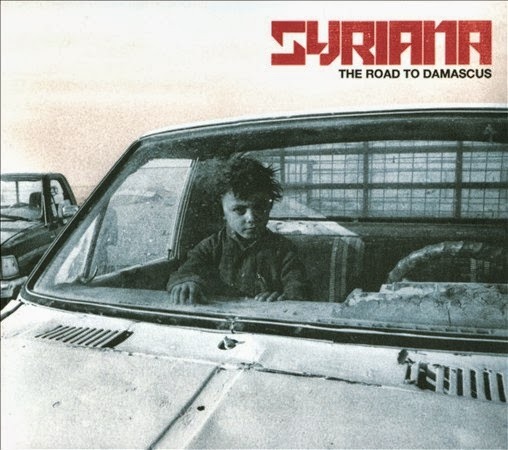 And I'm listening to the new album from Syriana, a group whose very existence came from a perceived need to bridge the gap between the West and the Middle East. Politicians weren't getting the job done; perhaps musicians could step into the void? That's the background. And the sound of the CD? Sparse, haunting in parts, sometimes richly melodic with a full string section (the Pan Arab Strings of Damascus). Dumbek and qanun (81-stringed dulcimer) figure prominently and give an Arabic feel, while the electric guitar, programmed beats, and bass tell a more modern tale. The dark, moody vibe might well reflect the current state of affairs in Syria -- but the seamless collaboration of artists from Egypt, Syria, Palestine, and the UK might yet hold the promise of a bridge of understanding and cooperation, and sunnier skies ahead.